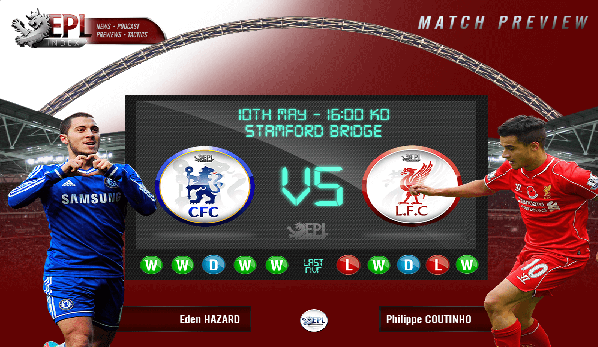 EPL Fixtures: Liverpool vs Chelsea Probable Line-ups, Team News – The English Premier League Matchday 34 crucial encounter features Liverpool as they host Chelsea at Anfield on Sunday. It is a must-win match for the Reds against the London club as they look forward to winning their first EPL title after 29 years. Jurgen Klopp’s team are two points ahead of Manchester City on the EPL standings, a loss for the Reds will dent their chances of winning the Premier League Title. However, the Blues are seeking a return to the Champions League football as they battle for top four finishes. Liverpool will welcome back Andy Robertson and Sadio Mane (thumb), Georginio Wijnaldum (back) are expected to shake off minor issues. Callum Hudson-Odoi and Emerson Palmieri missed Chelsea’s Europa League victory at Slavia Prague in midweek, where Maurizio Sarri made seven changes to his XI.